SO MANY NEEDS, SO FEW TRAINED! "Change that Sticks" is the essential core curriculum that has helped hundreds learn how to overcome anger, anxiety, depression, bitterness, and guilt biblically, as well as learn fundamental doctrines and methodologies in counseling others biblically. 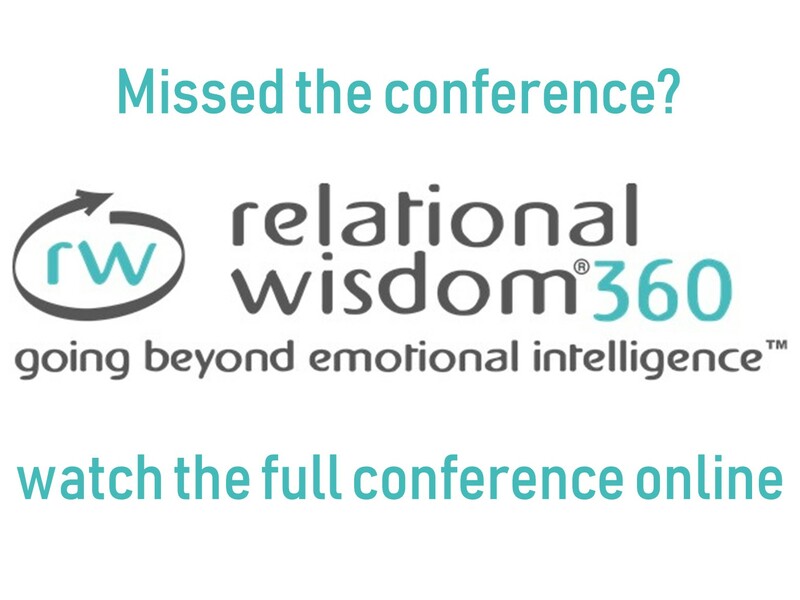 We now have added several new sessions that includes the basics of marriage and family counseling, sexual temptation, suffering, and more. This course is not only designed for the pastor, counselor, or people-helper wanting a course in biblical counseling that will give them in-depth, practical training on the major topics, but also for the person struggling with personal or relational problems looking for competent, intensive biblical help that has proven effective through years of counseling practice. Change That Sticks can be used to meet all the requirements for A.C.B.C. and I.A.B.C. certification. HOW DOES THE ALL-IN-ONE COURSE WORK? 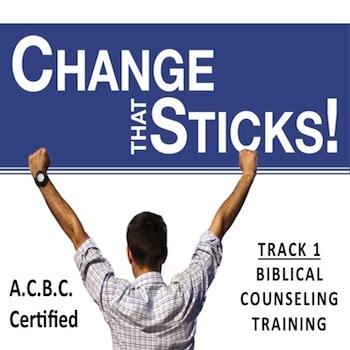 Change That Sticks not only provides the basic course in Biblical counseling required by A.C.B.C. but can be a gateway to our counseling observations course and exam coaching program. Students who complete this course in Biblical Counseling have the option of making it an “All-in-One Certification Course” by receiving 75% off vouchers to sign up for our Counseling Observation Class (planned to launch summer of 2019) and our A.C.B.C Exam Class. (This exam class includes group coaching sessions for exam questions in which you need some guidance). Once your exams are completed, you begin the 50 hours of counseling supervision process with an A.C.B.C fellow, which we can provide. Once the supervision is completed, you are certified! Once you are certified by A.C.B.C. or have completed the coursework in Change That Sticks, begin looking for opportunities in your church and community to help others with the training and tools you have received. Be faithful and if your faithfulness leads you to growing a formal biblical counseling ministry in your church and community consider joining our BIBLICAL COUNSELING NETWORK. We provide you with tools, ongoing consulting, promotional strategies, support raising help and even biblical counseling workshops in your community (team taught with you if desired). 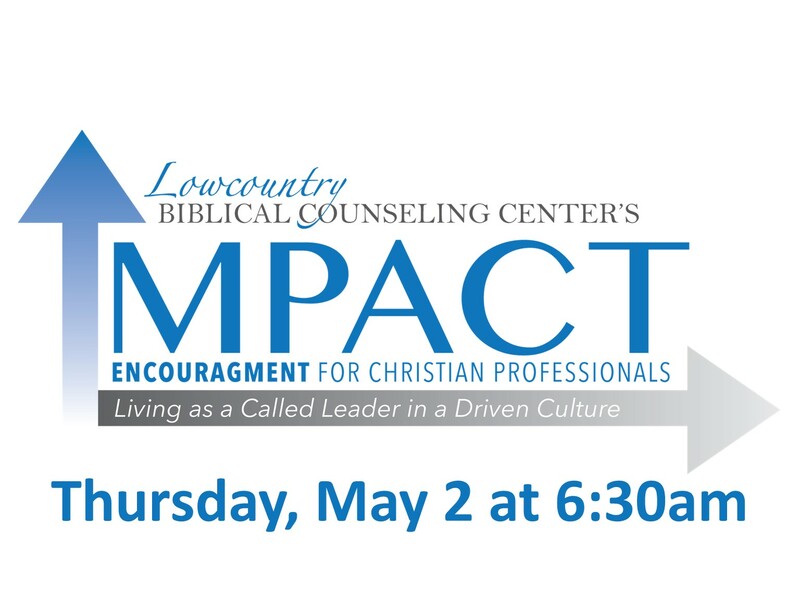 The Lowcountry Biblical Counseling Center began with one passion - to reach the local churches and community of the Charleston area. The Lord has blessed our efforts as dozens of churches and hundreds of people who would have never known of Biblical counseling have been reached and impacted by the sufficiency of Christ. If you have a similar passion for your church and community, set up a consultation today to speak with us about your vision (843-278-0072 or [email protected]). 1. The Rediscovery of Biblical Counseling & Change: The Basis of Biblical Counseling: Whose Job Is It? ; Scripture Has the Answers; The Sanctification Process - Can a Person Really Change? “What To Do When…” pamphlets by Dr Jay Adams: Fear, Worry, Marriage, Anger, Depression, etc.